USP Hand-made, traditional Greek product. Healthy, crunchy and incredibly tasty. 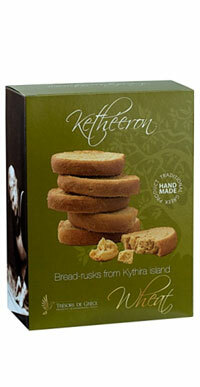 wheat flour, Greek oil olive oil from Kythira, sugar, salt, yeast, water. Allergens: flour – contains gluten.